This is the thirteenth post in a series about my possible line of descent from Eleanor of Aquitaine. In the first post, I explained how I discovered the possible line, and how I am going to verify it one generation at a time. In the last post, I proved that my eighth great-grandmother Jenneken Laureijs Denis Peeters was the daughter of Laureijs Denis Peters, also known as Pulskens, and Anna Cornelis Peters, also known as Coijen. These and other records will be analyzed for clues about Laureijs’ own parents. The groom’s patronymics indicate that he was the son of Denis Peeters, implying that the witness to the publication of the banns was his father. Jan Cornelis Peeters could have been a brother of Anneken, which is a diminutive of Anna. Catharina, baptized in Tilburg on 3 March 1665, father named Laurentius Denis Peeters.7 Witness: Peertien Daniel Goaerts. Based on her patronymic Mari Denis/Maria Denissen could be a sister of Laurentius Denis. 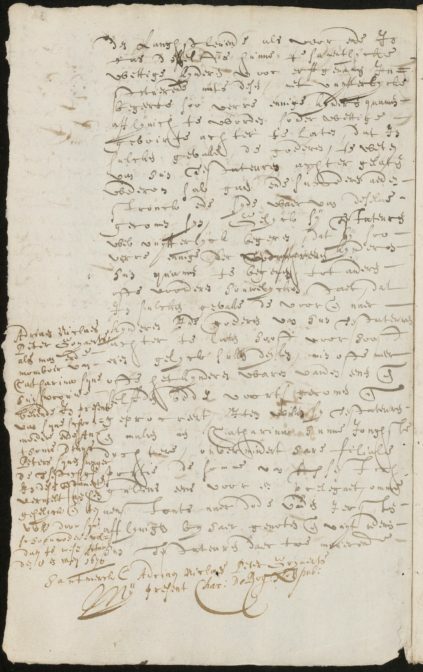 Apart from minor spelling variations, the names match the names of the parents in the baptismal record, suggesting that Elen Laureijs Denis Colen was the mother of Laureijs Denis Peters. The record identifies Laureijs’ wife as Anneken Cornelis Coijen, who was the mother of Jenneken Laureijs Peters as shown in the previous blogpost. The estate division identifies Laureijs Denis Peters’ parents as Denis Peter Pulskens and Alida Lauwreijs Colen, also called Aletta Freijs Coolen in the record. 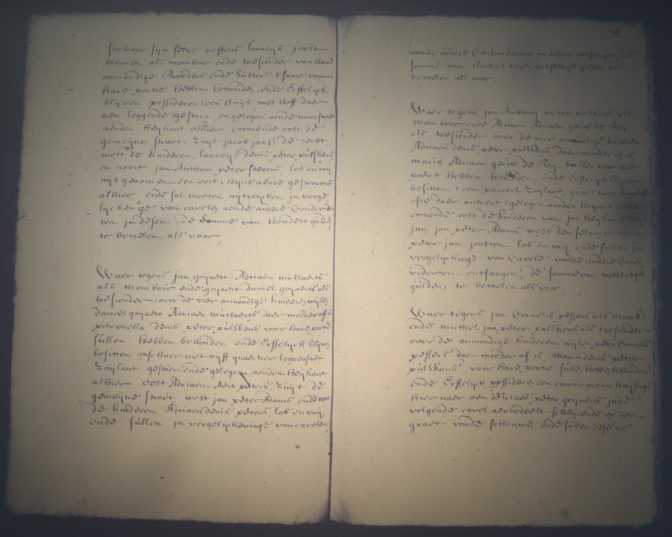 Alida, Aletta, Elen, and Eelen are all variations of the same name, proving that the 1631 baptismal record is indeed for Jenneken’s father Laureijs Denis Peters. It shows he had a sister Maria Denis Peter Pulskens, married to Cornelis Jan Coijen—probably a brother of Anneken Jan Coijen. 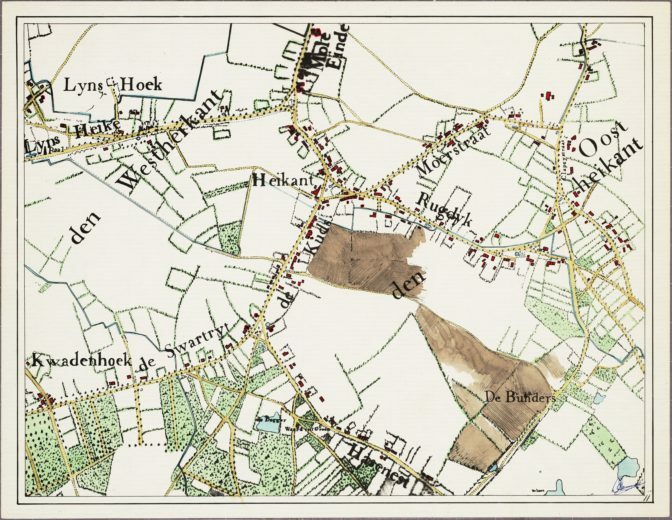 A map from 1760, colorized by R. Peeters, shows the location of the Moerstraat. The street is close to the location where Laurens Smulders owned property in 1832 (the street marked “Rugdijk” on this map), showing the family lived in the same area for multiple generations. This record provides independent evidence that these seven siblings were the children of Denis Peter Anthonis and Alijd Laureijs Colen. This record does not use the name Pulskens. In this period and region, it is not uncommon to find people using a last name in some records, and just patronymics in other records. On 5 May 1684, Pr. Anthonis Denis was appointed as supervising guardian over the children of Anthonij Denis Peters in the place of Laureijs Denis Peeters.23 Laurens’ February 1684 death explains his replacement. Apart from Catherine, the will does not name the children. The will indicates that there were several unmarried children, and that Denijs was lying ill in bed at the time the will was created. Denijs Pieters at the Heikant was buried in Tilburg on 29 March 1665, leaving children.25 This is five days after Denis wrote his last will while lying ill in bed. The timing suggests this is the correct burial record and that he died shortly after making his will. In this period in Tilburg, it was common to only name children after deceased relatives. This 1665 death date explains why Laurens’ sons born before 1665 were not named after Denis, but the first son born after 1665 (Dionisius, baptized 16 February 1667) was. This places the probable death date of Aleida between 17 August 1682 (widow living next door to Huijgh Dirck Huijgen) and 17 August 1684 (date of the estate division). Only one burial of someone with a somewhat similar name was found in the burial register during that period. 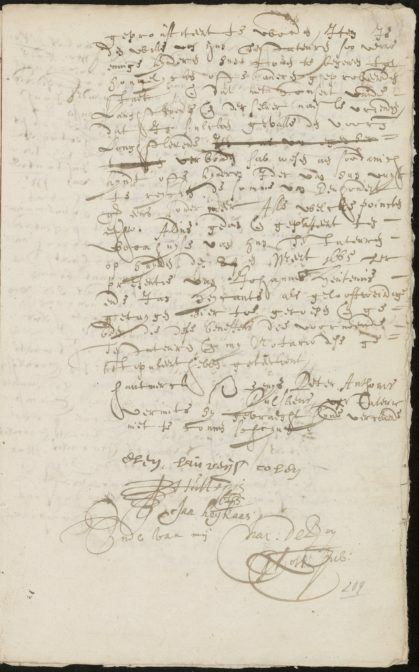 On 15 June 1684, Alet, Peter Tuenis’ widow at the Heikant, was buried in Tilburg.28 It is likely that this was a mistaken entry for the widow of Denis Peters Anteunis. The names and (estimated) death dates of Laurens’ parents are consistent with the names and birth dates of his children. Two court records identified Laurens Denis Peters’ parents as Denis Peter Pulskens and Aleid Laureijs Colen, and gave the names of six of his siblings. Joint appearances in church and court records confirmed the siblings’ relationship. The name of his father matches his patronymics, marriage record, and baptismal record, and the name of his mother is consistent with the name “Elen” (a variation of Aleid) in his baptismal record. Naming patterns provide indirect evidence that Laurens was the son of Denis Peters. Together, this evidence proves that Laurens Denis Peters was the son of Denis Peters and Aleid Laureijs Colen. I love these court records, that give such a great snapshot of the whole family. For research before 1811, court records are often much more informative about family relationships than church records, although church records can give you the dates of vital events. Using them together builds strong cases. That’s twelve generations down, sixteen to go! 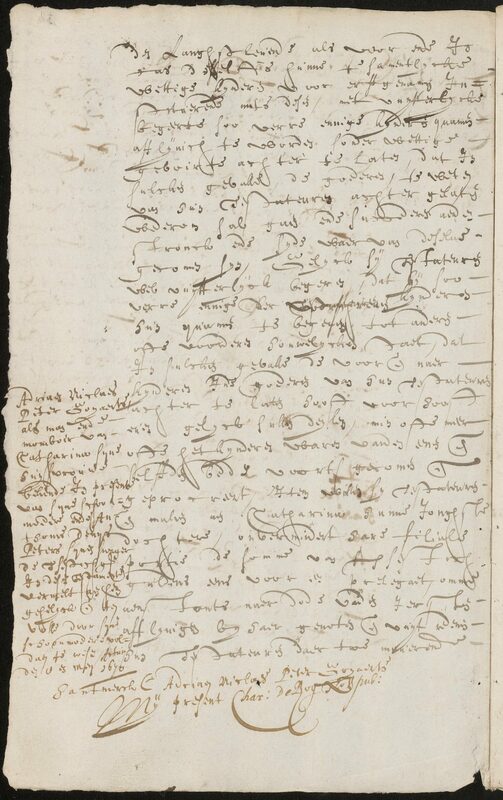 ‘t Goirke Roman Catholic Parish (Tilburg), marriage register 1633-1667, p. 159, Peeters-Peeters (8 February 1654); “Inventaris van de collectie Doop,- Trouw- en Begraafboeken van Tilburg en Goirle, 1600-1810,” finding aid and images , Regionaal Archief Tilburg (http://www.regionaalarchieftilburg.nl : accessed 7 May 2016). St. Dionysius Roman Catholic Parish (Tilburg), baptismal register 1650-1687, p. 60, Joanna Vreijs Denis (6 december 1654); “Zoek een persoon,” index and images, Regionaal Archief Tilburg(http://www.regionaalarchieftilburg.nl : accessed 7 May 2016). St. Dionysius Roman Catholic Parish (Tilburg), baptismal register 1650-1687, p. 86, Petrus Laureijs Denis (26 March 1657). 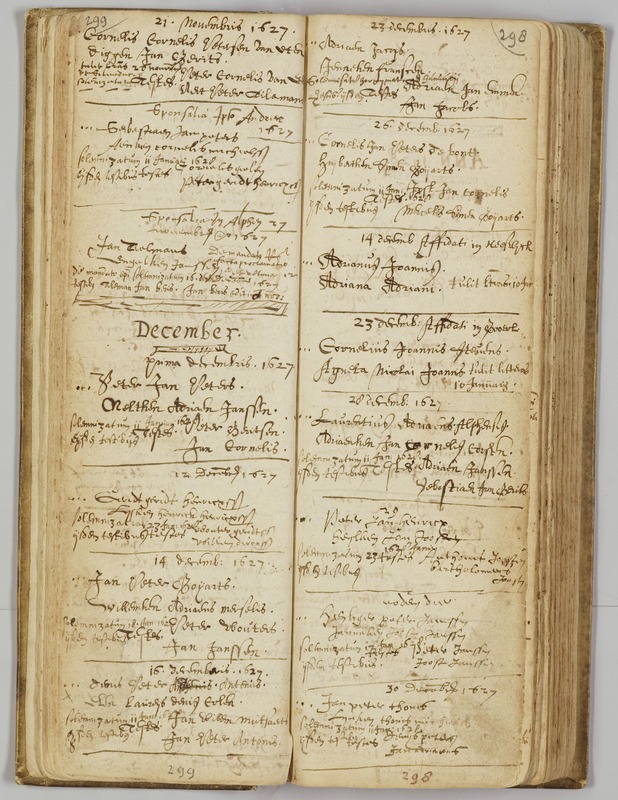 St. Dionysius Roman Catholic Parish (Tilburg), baptismal register 1650-1687, p. 116, Joannes Laureijs Denis (18 March 1659). 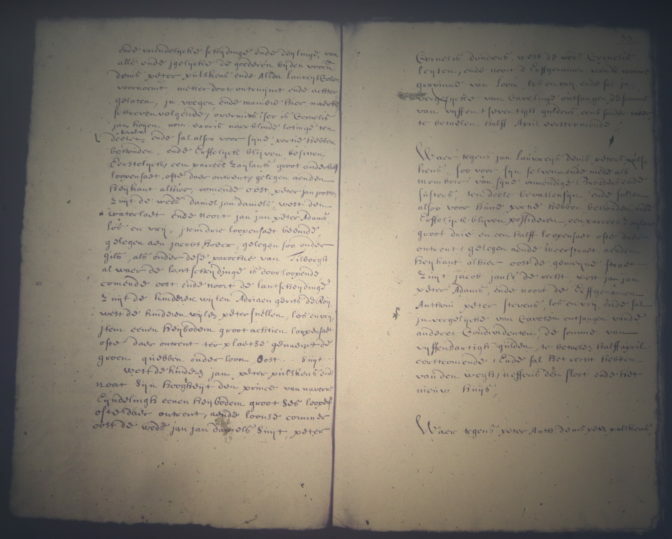 St. Dionysius Roman Catholic Parish (Tilburg), baptismal register 1650-1687, p. 140, Petronilla Laureijs Denissen (30 December 1660). 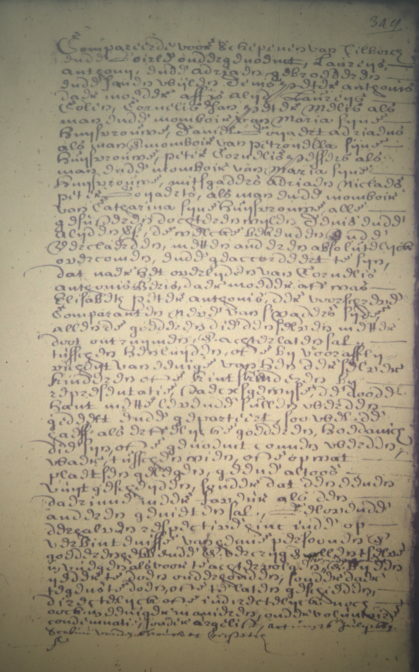 St. Dionysius Roman Catholic Parish (Tilburg), baptismal register 1650-1687, p. 161, Maria Laureijs Denis (16 October 1662). St. Dionysius Roman Catholic Parish (Tilburg), baptismal register 1650-1687, p. 188, Catharina Laureijs Denis Peeters (3 March 1665). St. Dionysius Roman Catholic Parish (Tilburg), baptismal register 1650-1687, p. 211, Dionisius Laurentius Denisen (16 February 1667). 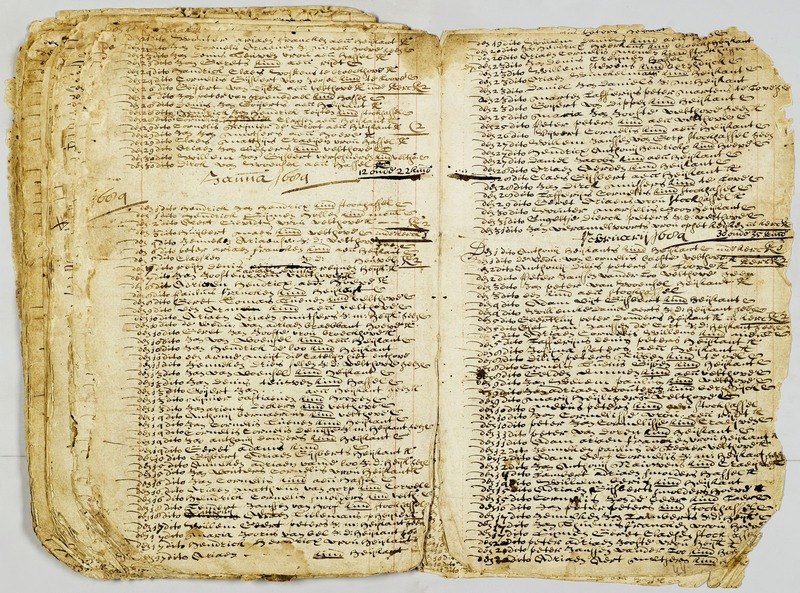 St. Dionysius Roman Catholic Parish (Tilburg), baptismal register 1650-1687, p. 242, Maria Laurijs Denis Peeters (20 April 1669). St. Dionysius Roman Catholic Parish (Tilburg), baptismal register 1650-1687, p. 257, Petrus and Maria Laureijs Denis (24 October 1670). St. Dionysius Roman Catholic Parish (Tilburg), baptismal register 1650-1687, p. 288, Mechtildis Laurentius Denis Peeters (8 September 1673). St. Dionysius Roman Catholic Parish (Tilburg), baptismal register 1621-1633, p. 183, Laurentius Dionijs Peters (10 juni 1631); “Zoek een persoon,” index and images, Regionaal Archief Tilburg (http://www.regionaalarchieftilburg.nl : accessed 7 May 2016). St. Dionysius Roman Catholic Parish (Tilburg), marriage register 1621-1633, p. 299, Antheunis-Colen (16 December 1627); “Zoek een persoon,” index and images, Regionaal Archief Tilburg (http://www.regionaalarchieftilburg.nl : accessed 7 May 2016). Dutch Reformed Church (Tilburg), burial list 1673-1684, Lafferijs Denis Peters (5 February 1684); “Zoek een persoon,” index and images, Regionaal Archief Tilburg (http://www.regionaalarchieftilburg.nl : accessed 27 January 2018). Aldermen’s Court (Tilburg), general protocol 1681, fol. 75v-79r, estate division heirs of Denis Peter Pulskens and Alida Laureijs Colen (17 August 1684); call no. 380, microfiche, Aldermen’s Court of Tilburg and Goirle, Record Group 14; Regionaal Archief Tilburg, Tilburg. Aldermen’s Court (Tilburg), general protocol 1668-1669, fol. 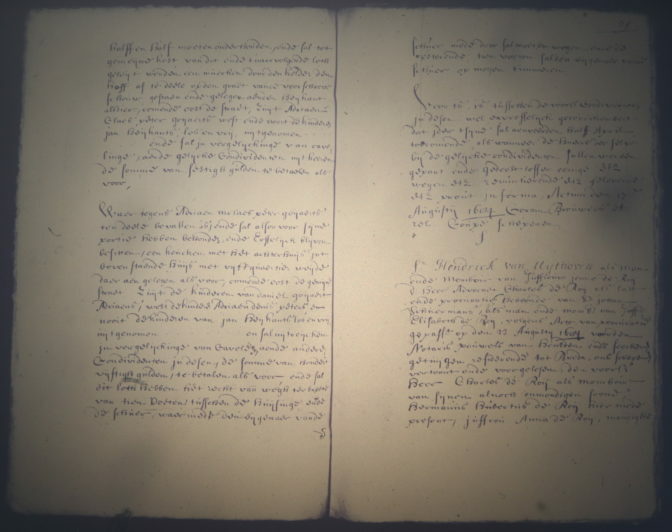 348, agreement between heirs of Cornelis Anthonis Beris (26 July 1669); call no. 370, microfiche, Aldermen’s Court of Tilburg and Goirle, Record Group 14; Regionaal Archief Tilburg, Tilburg. St. Dionysius Roman Catholic Parish (Tilburg), baptismal register 1650-1687, p. 161, Maria Laureijs Denis (16 October 1662) and p. 257, Maria Laureijs Denis (24 October 1670). Aldermen’s Court (Tilburg), guardians’ oaths 1674-1681, children of Anthonij Denis Peeters and Maria Jan Coijen (25 January 1676); call no. 8490, Aldermen’s court of Tilburg and Goirle, Record Group 14; Regionaal Archief Tilburg, Tilburg. Aldermen’s Court (Tilburg), guardians’ oaths 1674-1681, children of Daniel Goijaert Ariens and Peerken Denis Peeters (10 February 1678). Aldermen’s Court (Tilburg), guardians’ oaths 1681-1687, children of Willem Bastiaensen Wouters and Cornelis Denis Peeters (22 October 1681); call no. 8491, Record Group 14, Regionaal Archief Tilburg. Aldermen’s Court (Tilburg), guardians’ oaths 1681-1687, children of Anthonij Denis Peters (5 May 1684). 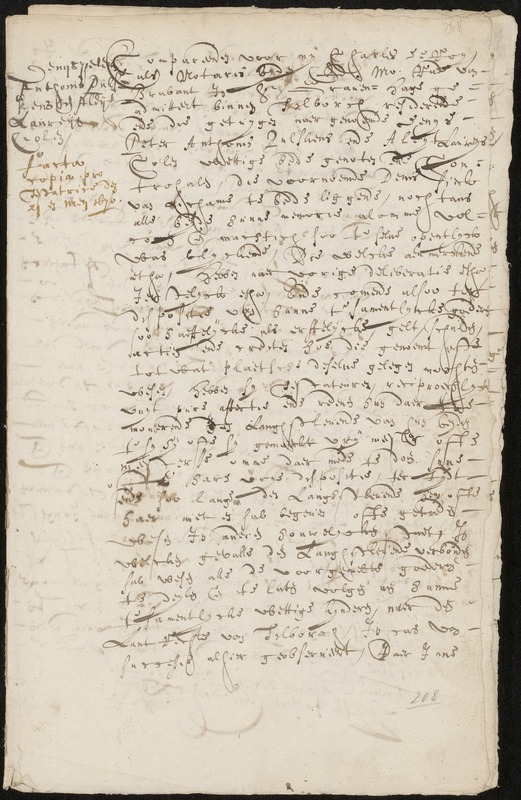 Charles de Roy, notary public (Tilburg), minutes 1656-1668, call no. 15, fol. 208, last will of Denijs Peter Anthonis Pulskens and Aleijt Laureijs Colen (24 March 1665); “Zoek een persoon,” index and images, Regionaal Archief Tilburg (http://www.regionaalarchieftilburg.nl : accessed 7 May 2016). Aldermen’s Court (Tilburg), burial lists turned in by the church custodian, 1656-1672, fol. 23, Denijs Pieters (29 March 1665); “Bladeren in registers,” browsable images, Regionaal Archief Tilburg (http://www.regionaalarchieftilburg.nl : accessed 30 December 2017). “Zoek een persoon,” index, Regionaal Archief Tilburg (http://www.regionaalarchieftilburg.nl : accessed 7 May 2016). 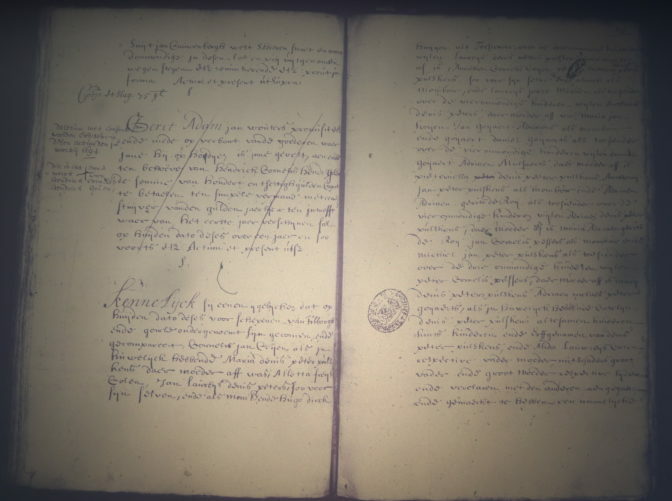 Aldermen’s Court (Tilburg), charter of sale from Jan Dirck Huijgen to Hijgen Dirck Huijgen (17 August 1682); call no. 54, charter collection Tilburg, Record Group 1428; Regionaal Archief Tilburg, Tilburg; consulted as finding aid and images, Regionaal Archief Tilburg (http://www.regionaalarchieftilburg.nl : accessed 15 December 2017). Aldermen’s Court (Tilburg), burial lists turned in by the church custodian, 1673-1684, Alet widow Peter Tuenis (15 June 1684); “Bladeren in registers,” browsable images, Regionaal Archief Tilburg (http://www.regionaalarchieftilburg.nl : accessed 19 March 2018). Yvette Hoitink is a professional genealogist in the Netherlands. She has been doing genealogy for almost 25 years. Her expertise is helping people from across the world find their ancestors in the Netherlands. Read about Yvette's professional genealogy services. I love your work Yvette, I look forward to your monthly update of each generation. Thank you! I hope it will be a long time before the series ends. Yvette Hoitink, CGSM is a board-certified genealogist in the Netherlands who helps people find their Dutch ancestors. Do you need a genealogist in the Netherlands to help you with your research? Please read what Yvette can do for you. Sign up to receive weekly email updates with news about Dutch Genealogy!